We are now selling raffle tickets for these wonderful items. Tickets are $1 each or 6 for $5. 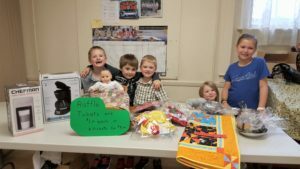 The raffle will be drawn at the church fall fair on November 4th.